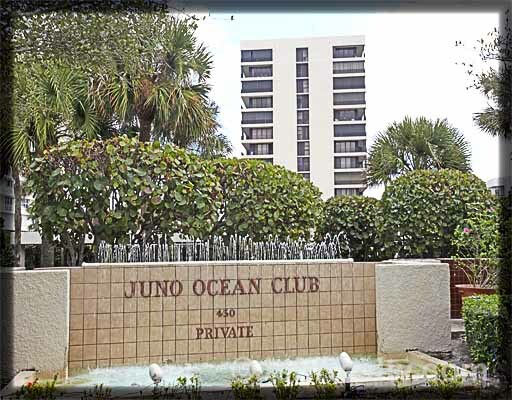 450 Ocean Drive at Juno Ocean Club in Juno Beach is a fabulous, remodeled condo with breathtaking ocean views and gentle southern breezes. The great room is open & spacious, including oversized porcelain tile and a tumbled-marble balcony. The kitchen contains granite, underlighting, newer appliances, coffered ceiling, and an arched passage to the great room. The master bedroom is open and includes a walk-in closet. A direct ocean view greets you every morning and the luxury, resort oasis shower will invigorate your day. The guest room is also spacious. New 2011 A/C unit and 2009 water heater. Also has accordion shutters. The amenities of the southernmost condo building in Juno have been remodeled. Just steps to historic Juno Beach. 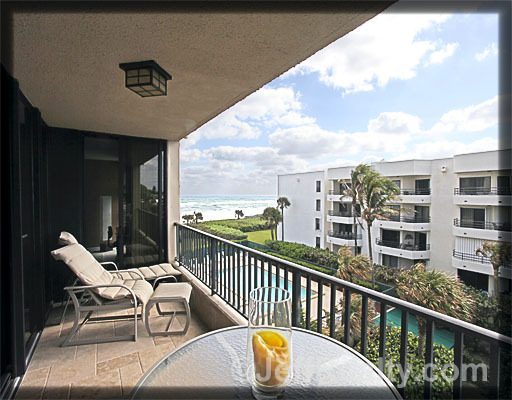 Posted in Juno Beach, Juno Beach Condos, Juno Condos on December 21, 2011 at 8:59 am.